Vendetta Plus Cockroach Gel Bait is formulated to be highly attractive and effective, even on the toughest, hard-to-kill German cockroach populations. Vendetta Plus attracts bait averse and non-averse German cockroaches. Formulated with an insect growth regulator, NyGuard IGR, Vendetta Plus reduces German cockroach populations by reducing reproduction. Cockroaches	Reference product label for specific species. 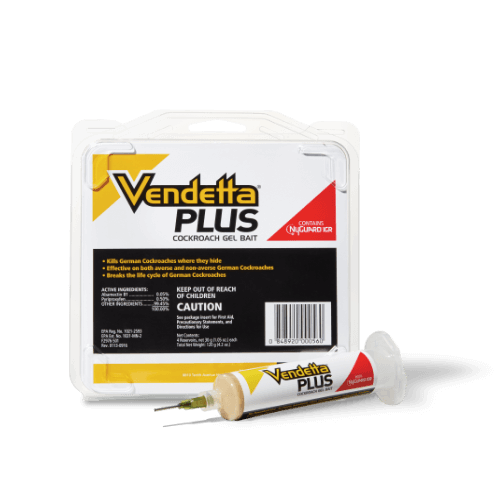 What package sizes are available for Vendetta Plus?